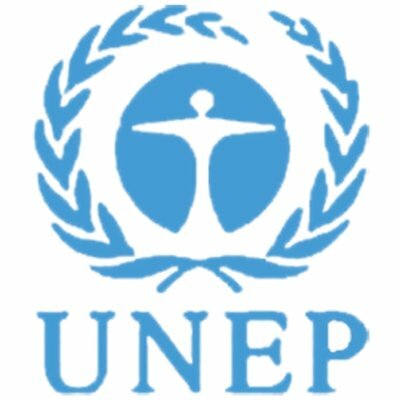 The members of the United Nations Environment Program meet this week in the Principality of Monaco and many subjects were discussed about. From the launch of the Climate Neutral Network to the importance of climate change on marine life or the emerging green economy, there were very interesting news. I tackle below all these topics and the least I can say is that progress are being made on climate change mitigation, and that times is pressing more than ever. First and foremost, four countries, four cities and five companies pledged to become climate neutral and among the list are : Iceland, New Zealand, Norway (of which I wrote about in a previous article) and Costa Rica. As one can see, there are countries of all types among the list and this is good news to know that even developing countries are willing to tackle climate change seriously. To learn out more on this idea, please refer to UNEP Unveils the Climate Neutral Network to Catalyze a Transition to a Low Carbon World. Other topic that was tackled during the meetings, the effect a full scale climate change would have on marine life. Such a global warming might lead to dramatic decreases of life forms in oceans and seas worldwide. Climate change is emerging as the latest threat to the world’s dwindling fish stocks a new report by the UN Environment Programme (UNEP) suggests. At least three quarters of the globe’s key fishing grounds may become seriously impacted by changes in circulation as a result of the ocean’s natural pumping systems fading and falling they suggest. These natural pumps, dotted at sites across the world including the Arctic and the Mediterranean, bring nutrients to fisheries and keep them healthy by flushing out wastes and pollution. The impacts of rising emissions on the marine world are unlikely to end there. To learn out more on this topic, please refer to Warmer World May Mean Less Fish. An emerging Green Economy is glimpsed in the latest United Nations Environment Programme’s (UNEP) Year Book as growing numbers of companies embrace environmental policies and investors pump hundreds of billions of dollars into cleaner and renewable energies. Climate change, as documented in the Year Book, is increasingly changing the global environment from the melting of permafrost and glaciers to extreme weather events. But it is also beginning to change the mind-sets, policies and actions of corporate heads, financiers and entrepreneurs as well as leaders of organized labour, governments and the United Nations itself. Increasingly, combating climate change is being perceived as an opportunity rather than a burden and a path to a new kind of prosperity as opposed to a brake on profits and employment, the new report shows. To read the whole press release, please refer to Breaking Down the Barriers to a Green Economy. And you, what do you think of these three elements ? Do they worry you or do they bring you hope ? I hope you enjoyed this article.